Midwife Suzanne Dara reflects on the effort of midwives to divide births into those that are “natural” or “normal” and those that are not. In her paper ‘Normal’, ‘natural’, ‘good’ or ‘good enough’ birth: examining the concepts, she suggests that such efforts are, at best, of little use, and, at worst are actually harmful. [I]n 2005 the International Confederation of Midwives updated their definition of the role of the midwife and they included ‘promotion of normal birth’ as a key part of the role…. The role of the midwife is also commonly defined according to the ‘normality’ or expected normality of pregnancy and birth. The idea of ‘normal’ birth is therefore clearly very much on the agenda for midwives and providers of maternity services, both in terms of providing safe, appropriate maternity care for women and in terms of defining professional roles. But even those within the midwifery community have begun to question this relentless emphasis on “normal” birth. Darra cites Carolan and Hodnett, ‘With woman’ philosophy: examining the evidence, answering the questions. I have cited them as well when writing about the hegemony of normal birth. … Overall, childbearing women, considered to be ‘at risk’ for pregnancy and maternal complication, are ever more likely to give birth surgically, and … approximately 15–25% of pregnant women are currently deemed to be at high risk for pregnancy complication in any given year. Additionally, there are many women having babies today who could not have reasonably contemplated pregnancy in the past. Examples include sufferers of diseases such as cystic fibrosis and cardiac disorders, who are now experiencing greater lifespans and better quality of life … The parameters of fertility technology are continually expanding and offer hope of pregnancy to many women who would have previously been considered infertile. For these women, a ‘normal’ birth may not be possible or particularly desirable. In other words, while midwives may be enchanted with the idea of “normal” birth, it is neither appropriate for or desired by a substantial proportion of women. …incorporates value laden connotations of socially expected/accepted forms of behaviour. 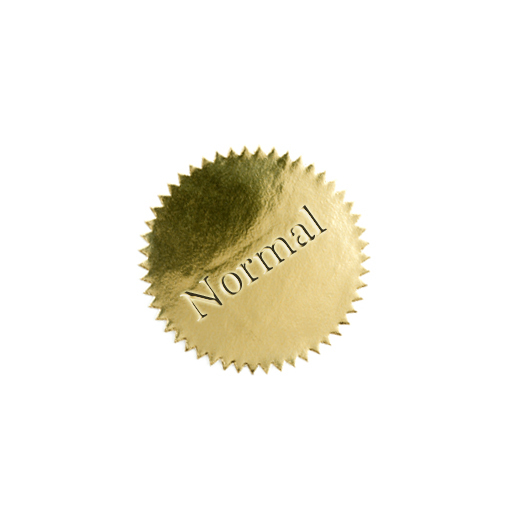 Norms may refer to … a social standard by which human conduct can be measured and judgements of compliance can be made using this… The definition of normal is further complicated by ideas of normativity, what ‘ought’ to be, which is a more prescriptive idea. … Political philosopher Hacking cites the word ‘normal’ as being ‘the most powerful ideological tool of the twentieth century’. In positivist terms the application of the word ‘normal’ had and still has some very powerful connotations. For example, in arguably its most powerful application, the diagnosis of mental ‘abnormality’ led to thousands of people being incarcerated in asylums during an extended period in medical/social history. Normality has therefore been the subject of much political, social and philosophical enquiry. Armstrong [discusses] the use of the ‘normal healthy subject’ as a measure against which all abnormalities, diseases and illness can be measured. However, he poses criticisms of this perspective, when he notes that of all the people attending a health centre in 1935 only 7% were found to be truly healthy by this form of assessment. Armstrong states that it seems more sensible to discard the idea of the ‘normal’ subject against which all others are measured and that instead one should examine a person or his/her body in context of other subjects, both ‘healthy’ and otherwise. This leaves one with the idea that people and their health are located on a continuum, thus making the definitive idea of the ‘normal’ as no longer useful; instead Armstrong proposes an idea of ‘normal variability’. So “normal” birth as envisioned by its midwifery supporters exists so infrequently that it is foolish to make it normative, and “normal” birth does not reflect biological norms as much as it reflects socially sanctioned forms of behavior. Therefore, instead of “normalizing birth,” midwives and other providers should focus on humanizing birth. Darra laments that “such an in-depth consideration of ‘humanising’ birth is largely disregarded in the current organisation of care in childbirth, in which ‘normalisation’ is instead the current driving force.” Darra suggests that we start by listening to women.